A rocky headland between Old Barry Harbour and the main beach adjacent to the fun fair. It is rough ground that is swept by strong tides and best fished at night for two hours either side of low water on mid-range to spring tides. You can fish throughout the entire tidal cycle. Try the ledges to the left of the headland over high water. Unsuitable for the elderly or disabled and unaccompanied juniors, due to rough ground and slippery rocks. mullet throughout warmer months, plus occasional smoothhounds in summer. 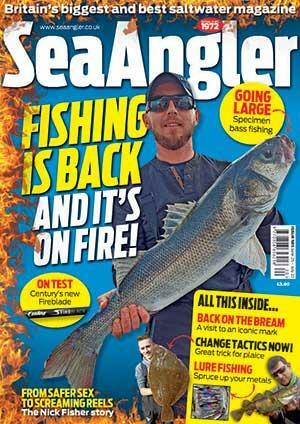 Squid, mackerel and a fresh pout or whiting are the top baits for congers. Usemarine worms, squid or peeler crabs, either fi shed singularly or as cocktails for cod. Strips of frozen mackerel at night catch whiting and dogfish. Peeler crabs, whole squid and float-fished live prawns and sandeels are effective for bass. Use float-fished bread for mullet. A beachcaster rated for 5-6oz is essential for general fi shing. The pulley rig is most effective rig here. Ensure you have wire traces or heavy mono when fishing for conger. A grip lead rigged on a rotten-bottom are required. Use a light rod, fixed-spool reel and 6-10lb line for fl oat fi shing. When near Barry, follow the signs for Barry Island and go along the causeway past Old Barry Harbour on the right. Turn right before the fair ground. You will fi nd parking places near Friar's Point and the beach. Follow the path out to the point.